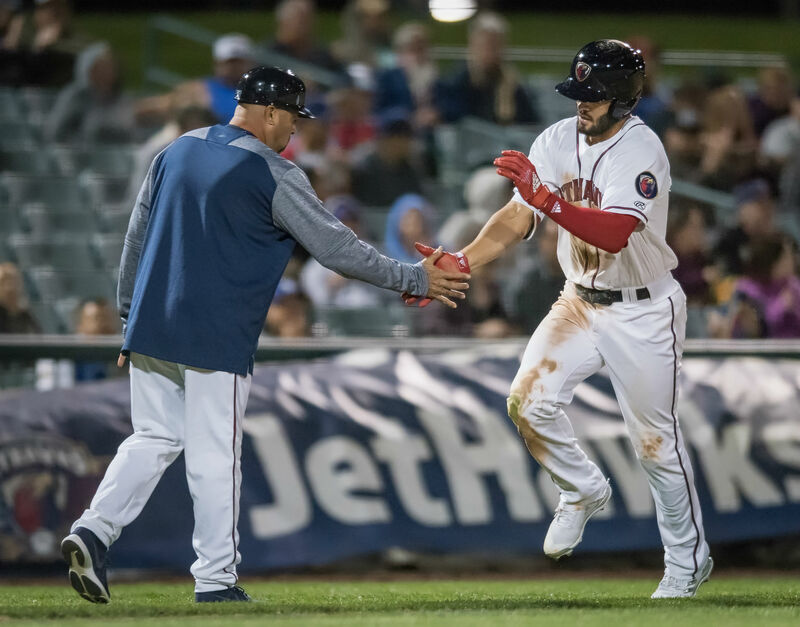 RANCHO CUCAMONGA – Ryan Vilade’s ninth-inning double scored the tying run, and two batters later, Luis Castro brought home the go-ahead run with a bases-loaded walk in a 7-6 win over the Rancho Cucamonga Quakes on Saturday night at LoanMart Field. The JetHawks have won four in a row and notched their first series victory of the season. Matt Hearn started the winning rally with a one-out walk against reliever Yeison Cespedes (0-1). He scored the tying run on Vilade’s double. Later in the inning with runners at second and third and one out, the Quakes (5-5) elected to intentionally walk Casey Golden to load the bases. Castro, the next batter, drew the winning walk. Rancho Cucamonga took a 3-0 lead in the first inning when Devin Mann hit a three-run homer against Lancaster starter Antonio Santos. Santos would settle in after the homer and did not allow another run. In total, he gave up the three runs on eight hits over 5.2 innings. He struck out seven and issued just one walk. The JetHawks tied the game quickly with three runs in the top of the second. Taylor Snyder drove home two runs with a bases-loaded single. Matt Hearn tied the game with an RBI-groundout. JetHawks single-game tickets, group tickets, ticket packages and season tickets are on sale now. Visit jethawks.com or call 661-726-5400 for more information.